Alice is a passionate photographer, grateful wife, devoted mother of two, active board member for non-profits centering around children and mothers; she’s also a friend, daughter and sister. Alice loves to dream big and genuinely believes that “Life is too short to not do what you love every single day.” Her work can be seen gracing the walls of her favorite baby boutique, and she enjoys spending her time nurturing relationships that fill her soul. And he was handsome and brilliant and believed in this crazy photographic dream of hers. 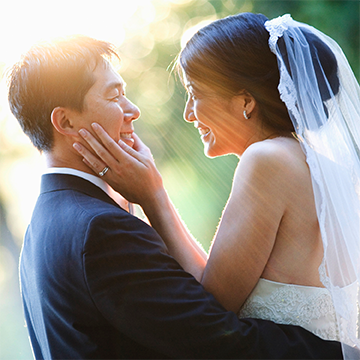 After an unfulfilling first year working as an industrial engineer, Kyu convinced Alice to follow her dreams and together, they started Alice Park Photography. After months of research, design and scouring the globe for the finest materials, Alice and Kyu perfected their signature Folio books. 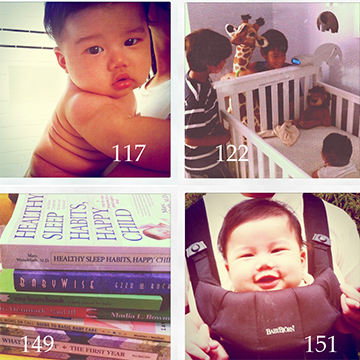 Since then, Alice and her team have been creating annual albums for the littlest clientele from birth forward. As with any new mother experiencing parenthood for the first time, having her first-born rocked Alice’s world. She no longer had it all together. She was no longer the punctual one. Yet this incredibly surreal experience allowed her to form a deeper bond with her clients more than ever before. The journey of building a small business is very similar to that of building a family. It takes hard work, a clear vision, and a lot of love and support from close friends and family. 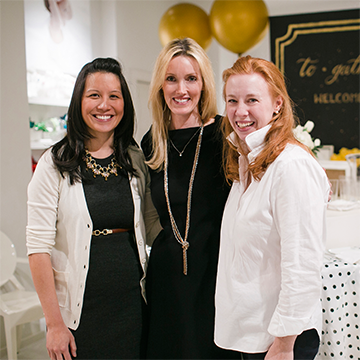 If you’re exceptionally fortunate, you’ll cross paths with some of the most inspiring and genuine women/mothers/small business owners who fully understand and appreciate what you’re experiencing. And together – you all learn to navigate the waters of life. And epic it was. 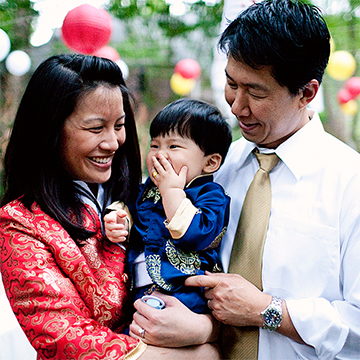 As parents of the firstborn son in an Asian family, Alice & Kyu (ok, mainly Alice) planned a celebratory dinner, complete with a traditional lion dance, handpainted artwork, a time-honored boar’s head feast for their guests… and a birthday tribute showcasing 365 days of Lyon’s life. Good thing they captured photographs, as it is doubtful Lyon will remember any of its epic-ness. It was a lovely wedding, and the pair toasted to a life full of adventure and determination to pursue their passions. They danced their first dance to a live band’s rendition of “You Belong to Me,” and the photographs that adorned the room told the stories of their childhood and families. 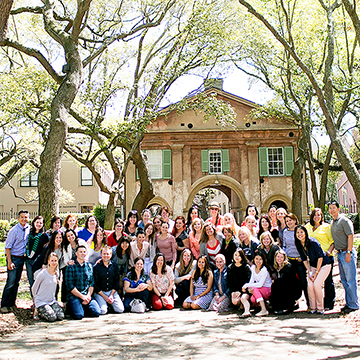 In 2009, the couple’s love and connection to the photography industry sparked an idea to create the National Association of Professional Child Photographers (NAPCP) — bringing together a community of passionate artists committed to growth in their craft and this unique industry. 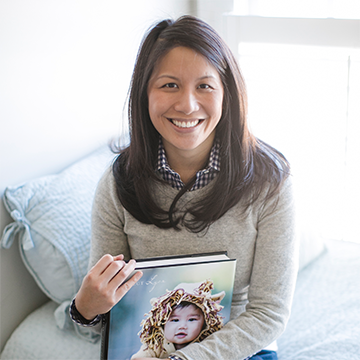 The thriving organization is Alice and Kyu’s way of giving back to the global network of specialized child photographers who have supported Alice and Kyu so kindly over the years. So, with this birth and new found perspective, she started journaling. And taking daily captures of their everyday lives. Soon, this collection of words, emotions and photographic memories became one of the most meaningful and impactful projects of Alice’s life. 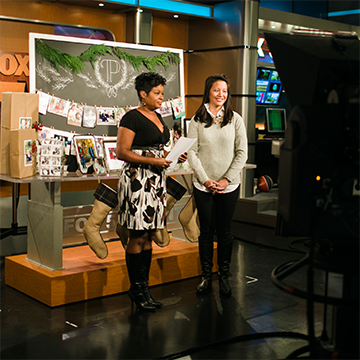 Alice was asked to begin appearing on FOX 5’s Good Day Atlanta as an expert guest on all things creative. Suddenly, her years of high school experience making Morning Announcements paid off as she appeared on-air live to offer advice on preserving and transforming memories into tangible art. Dubbed a “creative genius” by FOX producers, she made her mother proud.